Satisfy your appetite at the hotel's restaurant, where you can enjoy drinks at the bar, take in the garden view, or dine alfresco. Dining is also available at the coffee shop/café. Buffet breakfasts are available for a fee. 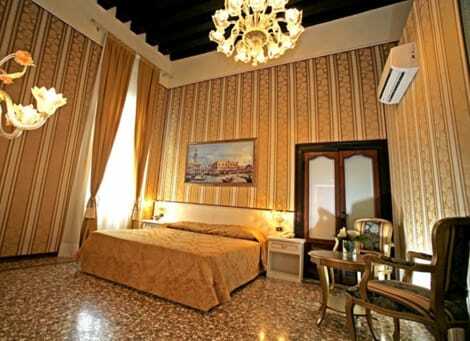 This traditionally Venetian 3-star hotel overlooks the sea and is a short walk from St Mark’s Square. Standing at the start of Via Garibaldi, the Hotel Ca’ Formenta prides itself on its Venetian hospitality and the staff are renown for being friendly and accommodating. All rooms are furnished in classic Venetian style and are equipped with air conditioning, minibar, satellite TV, safe and a hairdryer. The A Tribute To Music Residenza is found within a 19th century building by St Mark's Basin and is just a few minutes from many of Venice's historic sights, including The Bridge of Sighs. Take in more of the exceptional view from A Tribute to Music's rooftop terrace, and enjoy a complimentary breakfast each morning. Filled with period features, the residenza's air-conditioned rooms also have wifi access, satellite TV and private bathrooms. Make yourself comfortable in this apartment, featuring a kitchen with a full-sized refrigerator/freezer and an oven. A flat-screen television with digital programming provides entertainment, while complimentary wireless Internet access keeps you connected. Conveniences include a microwave and an electric kettle, and housekeeping is provided once per stay. With a stay at Pensione Wildner in Venice (Castello), you'll be within a 5-minute walk of Bridge of Sighs and Doge's Palace. This hotel is 0.3 mi (0.5 km) from St. Mark's Basilica and 0.3 mi (0.5 km) from St. Mark's Square. 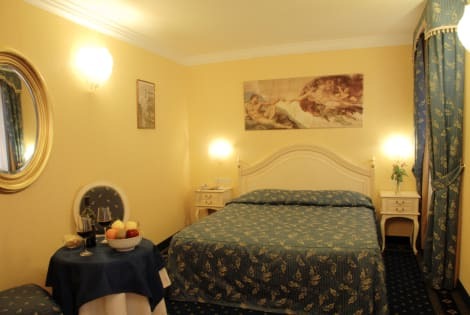 An elegant hotel situated beside St Mark’s Square and the Doge’s Palace, Corte dei Greci is a fantastic destination for visitors to Venice, within easy reach of the city’s many cultural and historical sights. The rooms’ gracefully Venetian interiors are complimented by modern technologies such as free wi-fi, LCD TVs and air conditioning. The interior courtyard is perfect for lounging in luxury before enjoying a glass of Italian wine in the piano bar and heading out to explore the city at night.